In the last quarter, Apple sold out a huge number of iPhone’s, 7.5 million to be precise. The Cupertino based company earned are record US $9.87 billion in revenue and a quarterly profit of US $1.67 billion against the predicted revenue of US $9.4 billion. Major enhancement was seen in its profit share that went upto $1.8, against expected $1.4 per share. This was substantial and solid growth by Apple in this period of economic recession in the world. That’s simply remarkable. 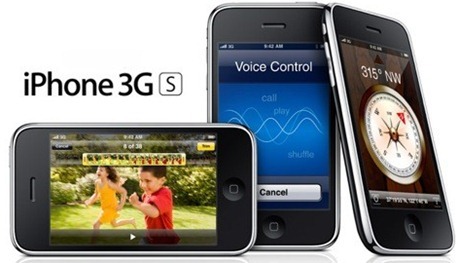 Now in this quarter, it has been observed that shipments of Taiwan’s smartphone integrated circuits are on the boom due to unprecedented increase in iPhone 3GS sales. Seeing the market analysis trend which suggests that Apple could sell a record-breaking 10 million iPhones in this current quarter alone. Apple and its beauty queen iPhone 3GS, no doubt continues to maintain its position as one of the main market leader of the smartphone arena. You can follow us on twitter or join our facebook fanpage to keep yourself updated on all the latest iPhone releases.